Known for its southern charm, Soule Hall, the oldest building in the Myers Community, sits on Sanford Drive overlooking the Myers Quad. Built in 1919, Soule is the only all-female, non-freshman hall within University Housing. Soule Hall has many aspects that make living easy, comfortable and convenient for its residents. Residents enjoy the convenience of being closely located to Snelling Dining Commons and the Science Library. 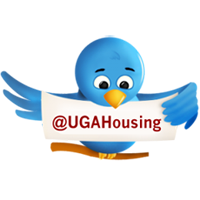 It is also just a few minutes’ walking distance from Sanford Stadium, the Tate Center, AG Hill and O-House Dining Commons. The ladies living in Soule can effortlessly get to their classes in time because most buses stop right in front of the building, making it easy for residents to travel around campus. Soule is designated as a suite-style hall. There are two different room set-ups where three to five residents share one or two bathrooms and, depending on the configuration, a living area. On the second floor, they can enjoy sitting on rocking chairs on the balcony, watching the happenings of the community. There are two study lounges and a spacious lobby area full of historic charm where residents enjoy spending time socializing. Soule is a laid back and calm building, where residents achieve academic success. At the same time, residents have the opportunity to interact and comfortably live in a lively and positive environment. The RA staff does an amazing job working together to create a close-knit community and upbeat atmosphere. Resident Perspective: What’s it like to live in Soule Hall? Why did you choose to live in Soule Hall? socializing in Soule's accommodating lobby. As a sophomore, I was looking for a building that was affordable, had a good location and had a different set up from my freshman residence hall. I decided to live in Soule because it had everything I was looking for and that attracted me to it. What has been your favorite moment living in Soule? I actually have two favorite moments so far. The first was after move in, when my RA did a game night in the lobby and a lot of the residents came to it. We played the Game of Things, which was a really fun game that helped break the ice and let us get to know each other better. It was great program because we got to interact with each other and good friendships began that night. The second was on November 6, when a lot of us watched the election results together in the lobby. What is your favorite part of living in Soule Hall? My favorite part of living in Soule is the lobby. The lobby is a great place to hang out and spend time with my hall mates. It accommodates the needs of residents since the setup is unique. It has a section where we can study and also a section where we can be social and watch TV. 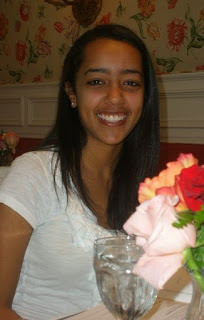 Roxy Gandía is a second year Residence Hall Director for Rutherford, Mary Lyndon & Soule Halls in the Myers Community. Originally from San Juan, Puerto Rico, she received her B.A. in Film & Media Arts from the University of Tampa and her M.Ed. in College Student Affairs from the University of South Florida.